BrickGun brings you the original nerd gaming icon. 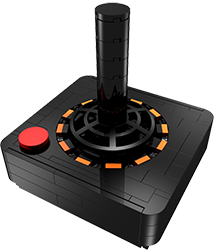 The controller that started it all: The 1977 Joystick. This groovy model is 100% life-sized, matching the shape and colors of the original, with a self-centering stick that can be moved in any direction. It’s the perfect gift for old-school gamers who paid their dues during hours of Combat™ and Pitfall™ or newbs who want to pay tribute to the heritage of the games we all enjoy today. It looks great displayed in a cubicle or sitting next to your current console and game collection. Kits include all the pieces necessary (100% genuine LEGO®) and a digital download (.pdf) of easy-to-follow assembly instructions which can be viewed with Adobe's free Acrobat Reader.  So put on your bell bottoms, slip on your mood ring and grab a 1977 Joystick model now! Following your purchase you will be emailed a link to download full-color, easy-to-follow instructions. Domestic orders arrive around 2 weeks after purchase. All transactions are handled securely via PayPal. International orders arrive around 3 weeks after purchase. Instruction downloads are the same full color, easy-to-follow, 39-page .pdf that is included with a model kit purchase. The file can be read with Adobe's free Acrobat Reader and includes both a text and graphic parts list. 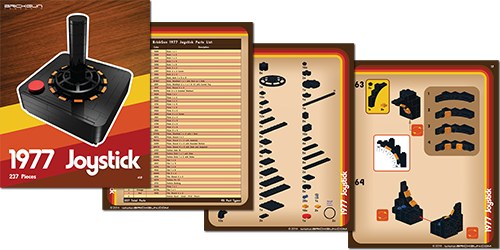 Parts needed are called out for each step, identical to genuine LEGO® instruction booklets. Immediately following your purchase you will be emailed a link for the document download. ***NOTE*** If you order a model kit, an instruction download is included. No need to purchase separately! If you have any questions, please don't hesitate to contact us at BrickGun@BrickGun.com. ©2014 BrickGun (www.brickgun.com). All other trademarks and trade names are the property of their respective holders.